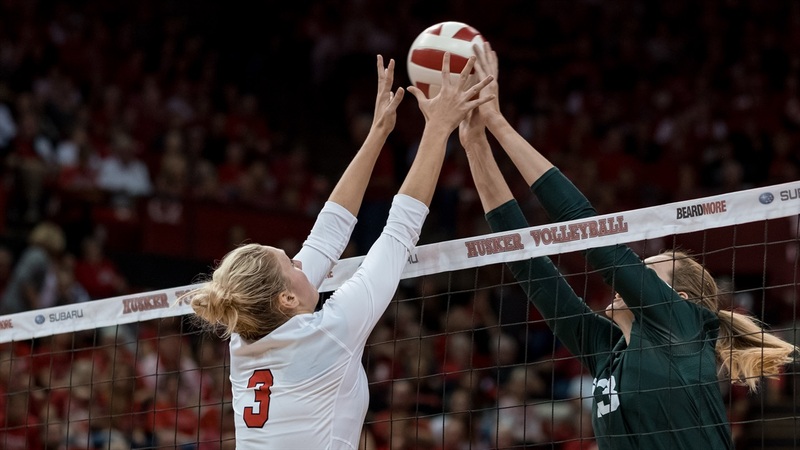 Husker fans have had a lot of fun watching setter Kelly Hunter play over the past three seasons. The senior from Papillion is one of the best in the country at what she does, and that’s apparent if you’ve ever watched a Nebraska match. But part of what makes Hunter so special may go somewhat overlooked ­– her height. At 5-foot-11, Hunter presents some unique challenges for opposing teams. If a setter is short, opposing teams try to take advantage when she is in the front row. 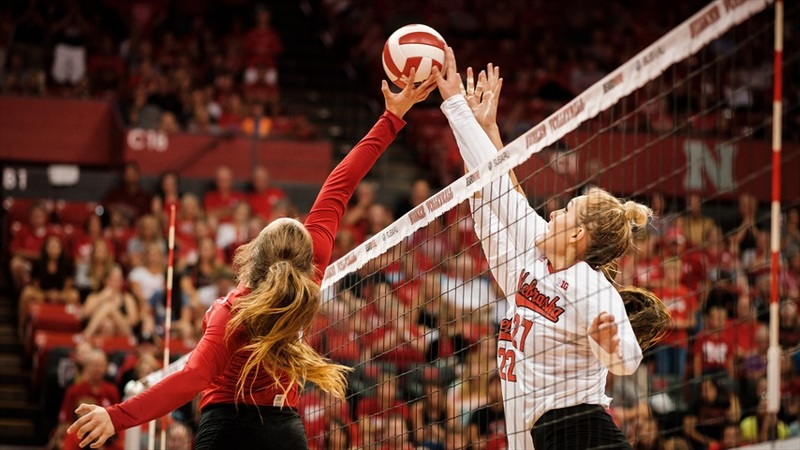 Offenses will hope to match up their attackers against a smaller setter knowing the hitters should be able to hit over her or play the ball off a smaller block. With some height at setter, however, a team can eliminate some of those built-in advantages. Taller setters are also better at winning jousts at the net. Tall setters bring clear advantages defensively when in the front row, but they can also diversify an attack when playing at the net. Setter attacks become more difficult to handle with a setter who can get up high and put the ball down with some force on dumps. Teams then have to start respecting her as a hitter, which makes the 5-1 rotation (which only has two attackers when the setter is front row) just as strong as the 6-2 rotation (which always has three attackers in the front row). The taller a setter is the more passes tight to the net she’ll be able to save before they go over the net. Defensively, a longer player is simply able to cover more ground as well if she has to dig a ball. Setter Hunter Atherton (red), 5-foot-11, goes up for a ball at the net during the 2017 Red-White scrimmage. If a tall setter has a jump serve – either a float or topspin serve – she will be contacting the ball at a higher point at the service line. That means the ball will drop a little more quickly once it crosses the net and be more difficult to handle. They may also be able to get a little more power behind the ball. For all of the reasons mentioned above, tall setters are something of a luxury for the versatility they provide. But setting is still the thing she has to be able to do the best, and that’s why there’s still a place for smaller setters in the game. I am 5-7 and I was a setter at a Division I program that was successful. Japan had a 5-3 setter, Yoshie Takeshita, on its national team, and she was considered one of the best setters in the world. Overall though most coaches prefer a taller setter compared to a smaller setter, and when they recruit they will look for that height. Want more of the Lo-Down? Read all of Lauren's columns here.